I am a gatherer. I gather images, and I gather plants. Paper begins with plants. 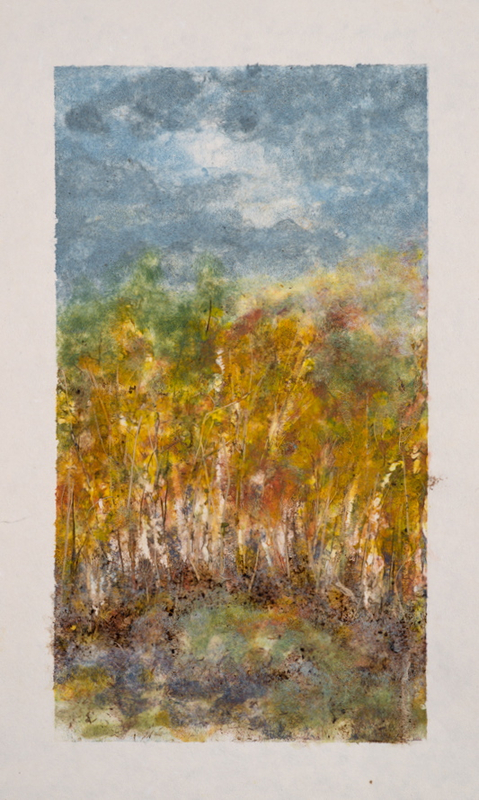 Papermaker and artist, Deborah Sharpe-Lunstead beats plant fibers into paper pulp, and creates paintings that lie within the sheets of paper themselves. 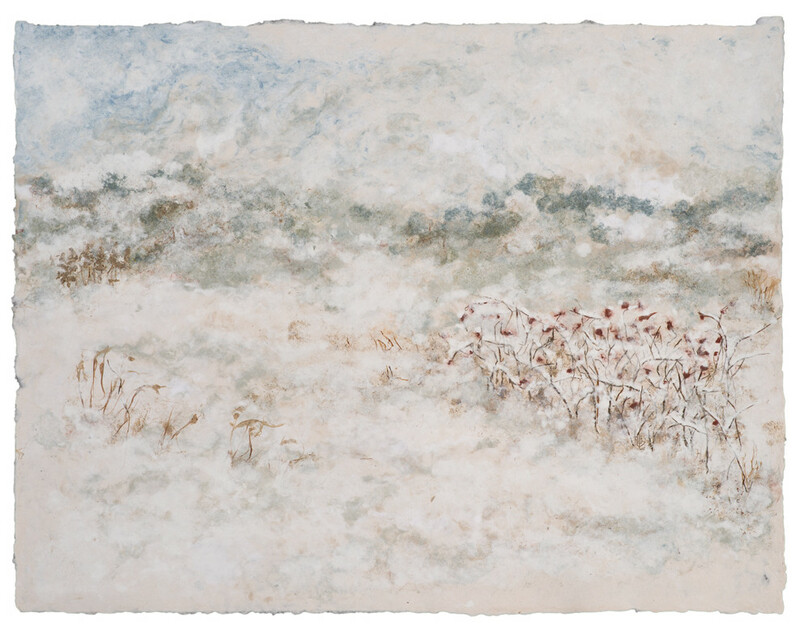 Finely beaten, pigmented paper pulp becomes the medium for creating her images on a newly formed wet sheet of paper. 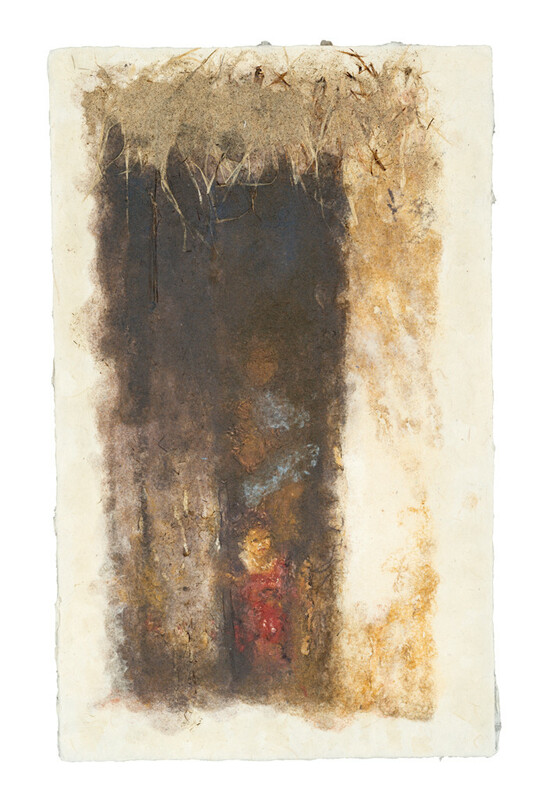 When the paper is pressed and dried, the painting is within the sheet of paper. 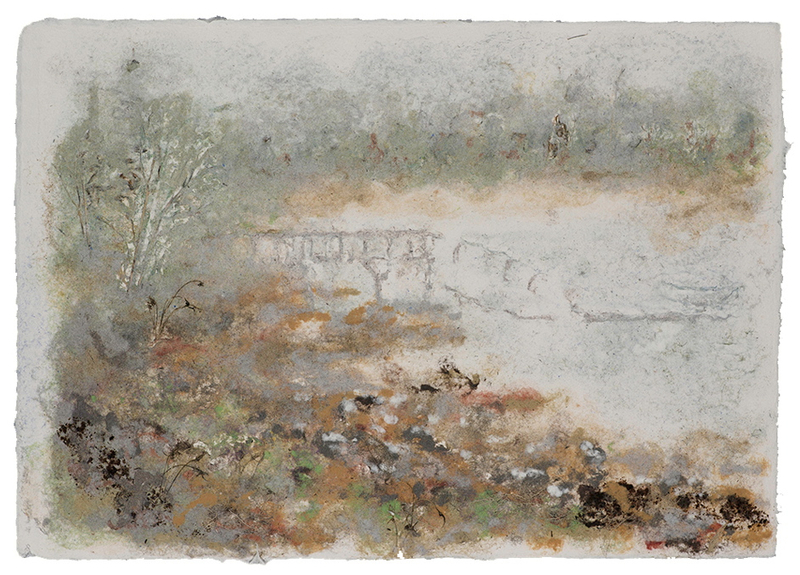 The pulp-painted paper can be further transformed with other media, becoming an extraordinary mixed media creation. 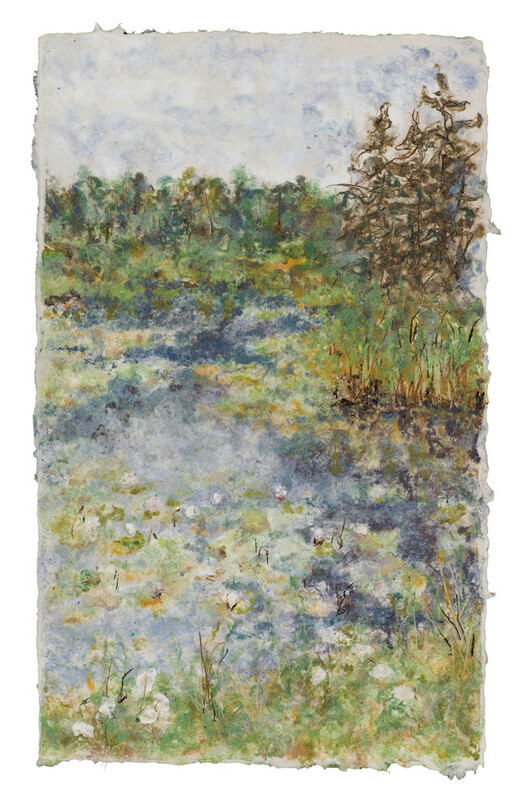 View the video to see the process from plant to paper to pulp painting. Down the road from The Handmade Papers Gallery in Brooklin, Maine, is Center Harbor. 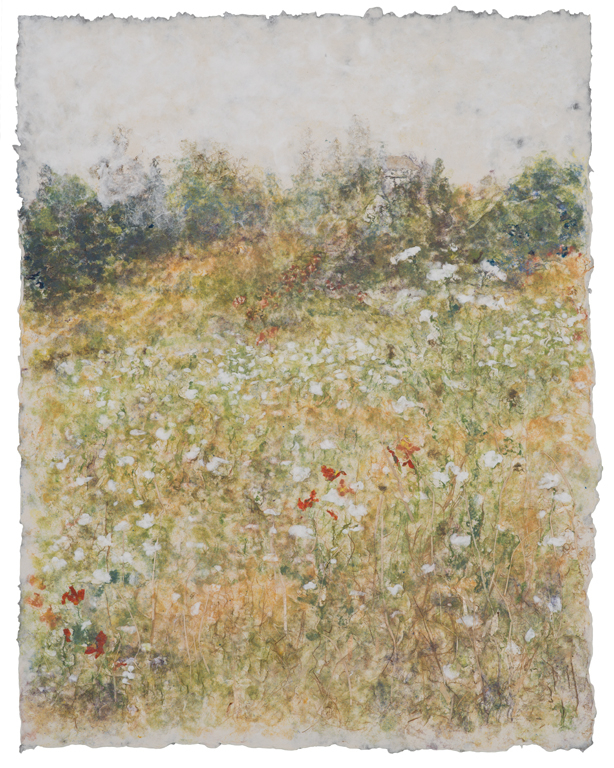 Looking up the hill from the harbor is a field filled with wildflowers, Queen Ann's Lace, wild poppies and daylilies. 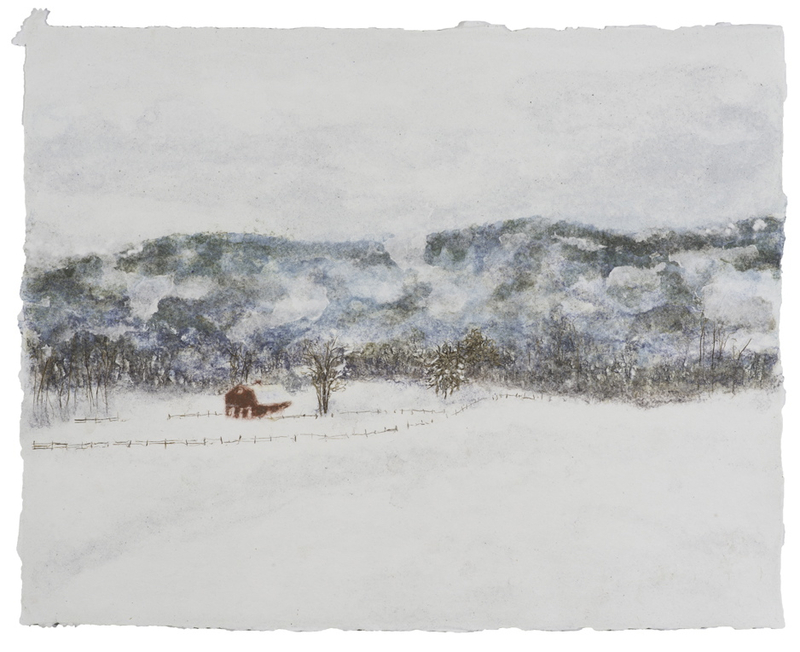 I am drawn to the beauty of sumac trees after a snowfall; to the way the snow outlines their wildness as they shake their red berries in defiance of the winter snow. Dusk is always a magic hour, especially with the reflections of sky on water. 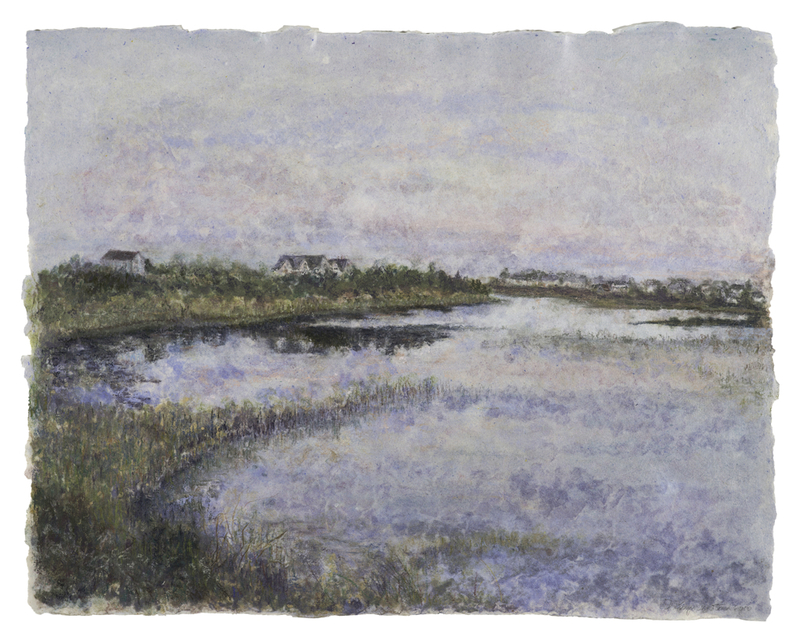 We would always try to bike out to the ponds of Block Island to catch to peace and mystery of the early evening light. mixed: natural and pigmented paper pulp w/pastel, cotton, abaca, papyrus, banana, ginger, gampi. Early morning on the beach at the Wooden Boat School in Brooklin, Maine. Autumn was a symphony of color this year in Vermont. It was especially beautiful around Lincoln, VT. The water lilies were just opening in the pond in the early morning as we biked over to the Wooden Boat School, Brooklin, Maine. In Kathmandu, Nepal, a child peeks out at the strange foreigner from the shelter of her simple home. 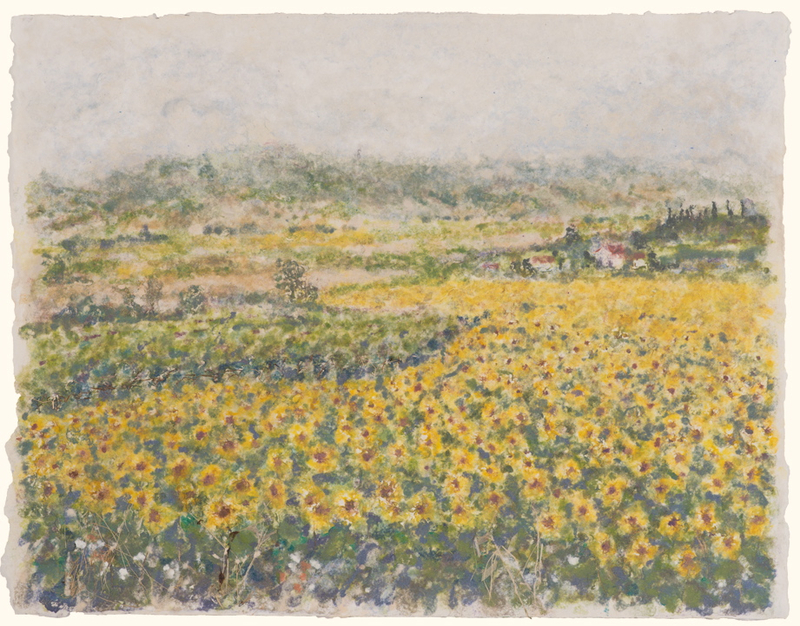 July in Tuscany near Monte San Savino, the fields of sunflowers are coming into full flower.